just look at horrible taiho rank..... shotdown 12 plane! and with its own AA! no fighter?? 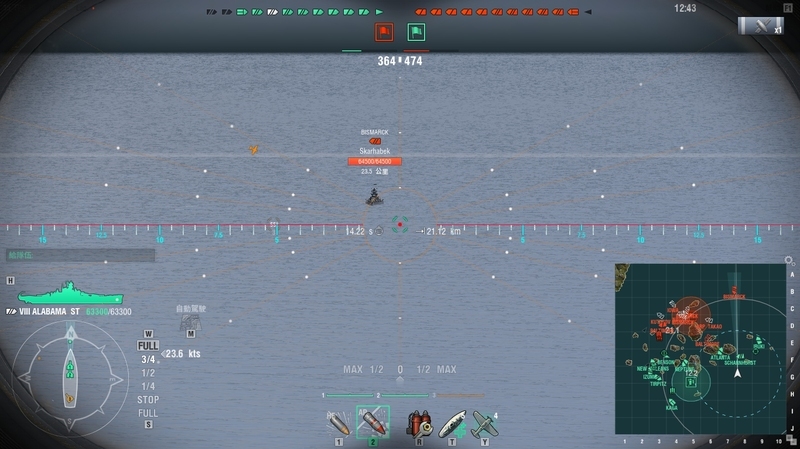 should i report this Taiho for unsporting behavior? LOL i am also farming unsinkable hahaahaha.... well since i am alive its not count as suicide right? Inadvertent Name & Shame in Quote. Post edited. No warning issued. Err you might want to blank out the players' names. Naming and shaming is not allowed on the forums. Anyway, report them for playing badly if you want. But I don't think you should report them for being bots unless they exhibit bot-like behaviour. They could just be really bad CV players. What the hell is wrong with your game quality? Anyone can potato to any tier.. just depends on how willing they are to grind it out. Don't assume that they know what they are doing on their tier alone. Always assume the worst, till proven wrong. That way you will never be disappointed, just pleasantly surprised. He installed the very low texture quality mod for potato computer or laptop. noobs and bad players exist everywhere, judging by the games you've shown to everyone it seems like you should know that better than all of us already. But I'm gonna say that you should be reported for your bad performance... And I guess they thought up a quote after looking at people like you "Before you judge anyone else, Take a good look at yourself!" This is the very reason I quit high tier games. People with big BBs afraid of torps, sitting in the back and a lot of times[most in my games] end up with substandard performance. Guess BBs are now snipers however effective they are. PLS STOP SHAMING MY COUNTRY DIGNITY YOU THIRD CLASS PLAYER! if you guys talking about bad performance.... yes, it might be right. but if you are talking about BB sitting in the back.... i am the yolo dreadnought here! i dont care i people call me noob, but here.... the Yolo soul from our brave ancestor.... more than dreadnought! Hey, at least you got Unsinkable. That is one of the most difficult medals to get. Also, upgrade your PC/laptop. Don't your eyes get hurt looking at that abomination of graphics? It is not pushing that makes a BB player smart. And it is not stupid keeping moderate amount of range. Keep in mind, a BB sinking means -60 for your team and +40 for the enemy team, which is the highest price a team can pay unless the CV, somehow, got himself sunk. BB's symbolic presence is also important, while they may have hard time doing constant damage, a BB's presence can still prompt enemy cruisers to keep a fairly good amount of range, in turn help allied DD's survival. IMO many CA/CL players are demanding too much from their allied BBs, hoping them to push to where no BB should go, and result in quick feed. "BB push" means he stay slightly behind the cruisers, take moderate amount of fire, preventing allied cruisers from taking overly dense concentration, pose a threat to enemy cruisers, and do his damage. It is a precise balancing act, not that you go max battle speed forward and get killed super quick. But when the opportunity comes, a heavy push is an option. But remember, any strategy is a good one only if it leads to victory and wins fair, including the suuuuupaaar banzai Minotaur headbump in which I rammed a 2k/43300 Minotaur with my full HP 46800 Minotaur. The result is I managed to survive, cleared the capture zone and killed enemy Shimakaze. That is what one should YOLO for, not "one YOLO cuz YOLO"
Here is my Bismarck stats, I played from stock (which is nothing to be proud of cuz that was trolling the team, but Bismarck stock is still pretty playable) and did not use any signal flags (again not something to be proud of). All solo games played back in Oct/Nov 2016. Compare it with your stats, I YOLO, but my YOLO makes contribution to the victory. i thought this was a "CV bash" thead. how did we get to be talking about bismarks? dont remind me, i still have no idea how the hell the team managed to throw a match like that.